High Efficiency Particulate Air (HEPA) filters removes 99.97 % of particles greater than 0.3 micron in diameter from air / gas, whereas Ultra Low Penetration Air (ULPA) filters are rated for 99.997 % efficiency for particles down to 0.12 micron. These are designed to remove particles down to 3, 5 and 10 microns in diameter from air / gas streams with better than 95 % efficiency when tested as per British Standard 2831 using Test Dust No. 11. For mixing, weighing & dispensing of powder. The reverse flow scavenging pre-filter at the work level ensures that aerosolysed particles are picked up at the source without allowing to disperse into the area. wide range (150 to 2000 CFM) of HEPA filter modules for use as duct connected clean air feed systems, pressurizing units & for supplying cooling air to Hot Air Sterilizers. Complies with the guidelines & specifications laid down by British Standard 5726-for Class II Biological Safety / Cabinets. Applications include isolation & identification of plant / human pathogens, work in virology, tissue culture, sterility testing & recombinant DNA research. 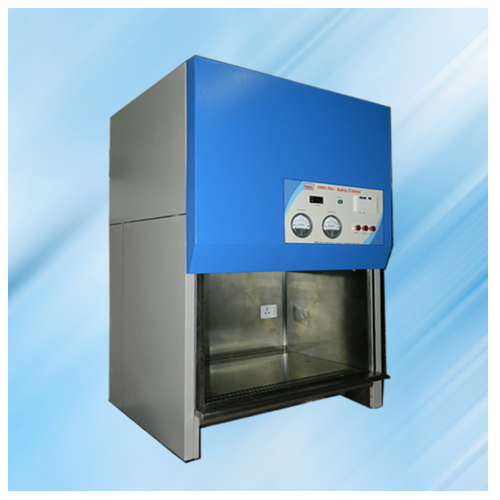 This biohazard cabinet offers operator protection from low to moderate risk work environment for the procedure. 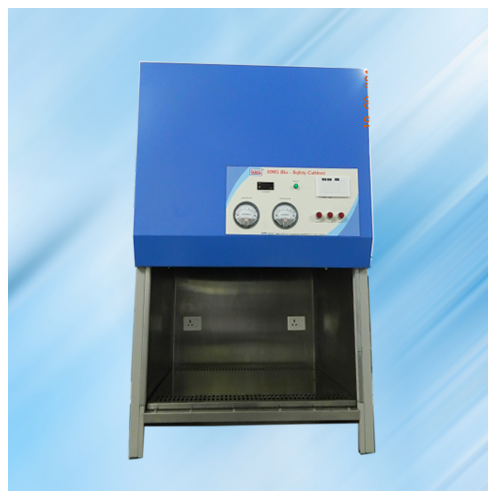 The cabinet is kept under negative pressure with partial quantity of recirculated air exhausted through a HEPA filter. External exhausted from the laboratory. Pass Boxes with mechanically interlocked glass doors & UV light. Due to continues R & D model and specifications may change.